The beauty of Lake Tahoe awaits you in this Tahoe Keys home in South Lake Tahoe. 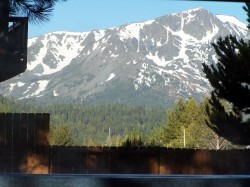 The home is surrounded by breath taking views of the Tahoe area. The Tahoe Keys resort is located on the south side of Lake Tahoe. The home is located only a short walk to the actual Lake. 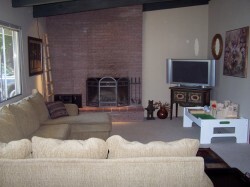 The home consist of 3 bedrooms and 2 bathrooms. 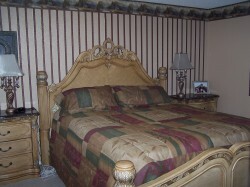 The master bedroom has one king and two twin beds. Another bedroom has two queen bed, while the last room has one king bed. 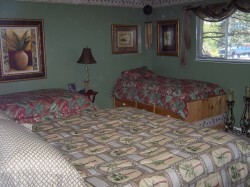 All linens such as towel and bed sheets are provided. There are 3 televisions hooked up to cable. The backyard is enclosed with a deck and a hot tub. From the backyard, you are provided with beautiful views of Mt. Tallic.